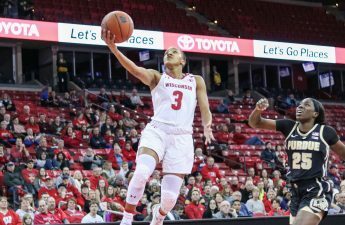 Over 6,000 fans filed into the Kohl Center Sunday afternoon hoping to witness the end of a brutal six-game losing streak for the University of Wisconsin women’s basketball team (11-10, 2-7 Big Ten). The game ebbed and flowed similarly to the team’s previous loss versus Penn State, but senior Kelly Karlis ensured a different ending by drilling a corner three to seal the game as time expired. Nebraska (9-11, 4-5 Big Ten) controlled the first half thanks to seven three-pointers while limiting Wisconsin to zero. Senior Marsha Howard and freshman Imani Lewis led the Badgers back into the game with strong offensive performances. Howard and Lewis finished with 18 and 17 points, respectively. Forward Abby Laszewski captained another third-quarter surge with six points. 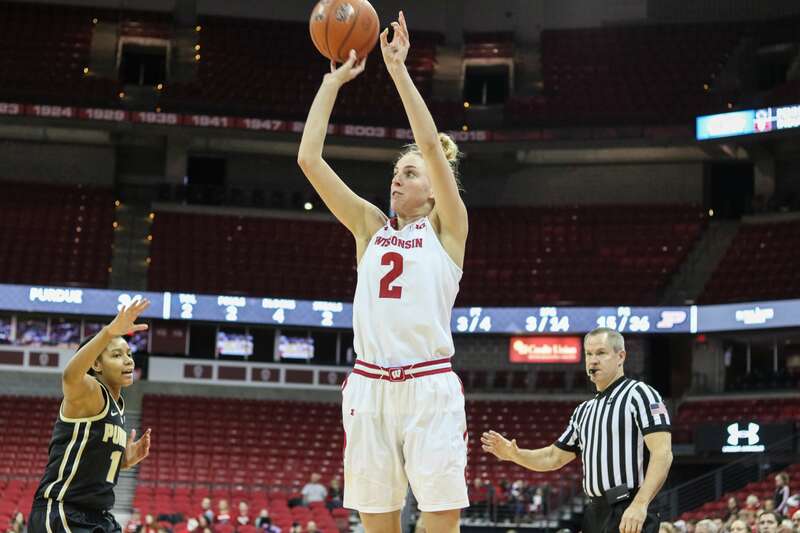 The Badgers allowed the Cornhuskers to rebuild a double-digit lead early in the fourth quarter, but buckled down on defense, allowing just six points in the final seven minutes of the game. In order to pull off the upset, Wisconsin had to mend their biggest weakness — free throw shooting. Wisconsin sits at the bottom of the Big Ten in free throw percentage, but their late-game free throws allowed for a dynamic victory. Wisconsin went 8-9 on free throw attempts in the fourth quarter alone, none as crucial as Niya Beverley’s pair that tied the game with just over a minute left. Beverley stuffed the stat sheet Saturday with 10 points, five assists, four rebounds and four steals. With 16 seconds left, Nebraska took a timeout and set up a play that freed up guard Nicea Eliely for a go-ahead layup with seven-tenths of a second remaining on the clock. Wisconsin Head Coach Jonathan Tsipis called timeout and drew up a final play. Beverley then delivered a perfect pass, and Karlis drained the triple as time expired. The Kohl Center erupted as officials checked monitors to ensure that Karlis released the ball before time expired. They later confirmed the basket. The win comes before perhaps their greatest test of the season as the Badgers travel to College Park, Maryland to take on the No. 11 Maryland Terrapins Thursday night.